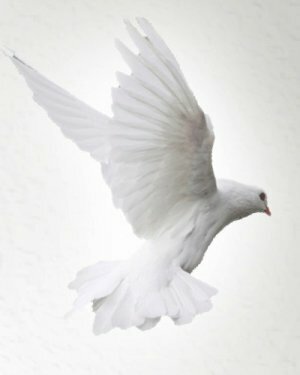 Obituary for Helen L. (Bachtel) Nine | C & S Fredlock Funeral Home, P.A. If you are about to throw that old bacon grease away, stop. Helen L. Nine who entered eternal life on Friday, February 1, 2019, would have a use for it! Helen will now be joining her husband of 50 years, Robert Nine, her daughter, Beverly Nine, and son, James Nine. Helen, born on August 23, 1927, was the daughter of the late John and Lena (Shaffer) Bachtel from Red House MD. Helen’s spirit is carried on by her 3 grandchildren, Tayler, Tyler and Travis Nine, her daughter in law, Karen, and her son Philip Nine. Everyone has been blessed with the valuable lessons taught by Helen for 91 years, among them: use the bacon grease for many things including flavoring your greens, use it to grease the cast iron skillet for your cornbread, make warm bacon dressing when you mix with some vinegar and mustard, and grease for cooking pancakes, French toast or waffles. Helen was a conservative person who didn’t waste anything and everyone who knew her, knew that. If she wasn’t doing something for someone else she would be in her garden growing the best vegetables around. It was well known that Helen didn’t have a problem keeping herself busy. Family and friends will be received at the St. John’s Evangelical Lutheran Church in Red House on Saturday, February 16, 2019, from 11 AM to 12 PM. A graveside committal service will be held in the Red House Lutheran Cemetery at 12:15 PM. The C & S Fredlock Funeral Home, P.A., is assisting with local arrangements.